New capabilities will help clinicians spot high-risk patients, prescribe opioids more safely and reduce harm, the company said. Meditech has announced it is adding an opioid stewardship toolkit to Meditech Expanse, the company's web-based electronic health record. 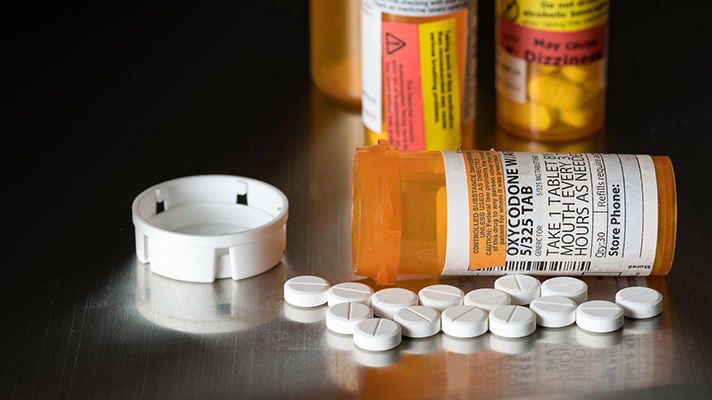 Research firm KLAS found that many healthcare providers are looking to EHRs for help with the opioid epidemic, whether that is with new clinical decisions support features or connections to state prescription drug monitoring programs. Still others are customizing their EHR for similar purposes. Meditech's toolkit is aligned with 12 chronic pain management recommendations from the Centers for Disease Control and Prevention (CDC), and includes in-workflow access to state-regulated prescription drug monitoring programs (PDMPs), access to an electronic prescribing for controlled substances (EPCS) solution and an embedded opioid risk tool (ORT). Meditech said the toolkit will support healthcare organizations in the effort to identify high-risk patients, realize safer opioid prescribing, and reduce opioid-related harm. The toolkit consists of evidence-and experience-based tools and clinical decision support interventions, along with best practice workflows and educational materials, the company said. Meditech’s announcement comes as the Bipartisan Policy Center seeks better integration of clinical, behavioral health data in EHRs to prevent suicides and to quell the opioid crisis. Drug overdose deaths involving prescription opioids has risen from 3,442 in 1999 to 17,029 in 2017, according to the National Institute on Drug Abuse. The Center is calling for Congress and the Department of Health and Human Services to do more to enable data sharing for at-risk patients. Recently, both the House and the Senate have supported bipartisan bills designed to incentivize adoption of EHRs by psychologists, psychiatric hospitals, community mental health centers and others. In a December article in Healthcare IT News, John Glaser, senior vice president of population health at Cerner and Michael Fadden, Cerner’s chief medical officer, said properly configured EHRs are a start for helping to fight the opioid crisis. From there, top leadership can employ several tactics to address the difficult and complex challenge. This is the second time in a couple of weeks that Meditech has announced an addition to its EHR. On Jan. 31, Meditech and Nuance said they will integrate Meditech’s Expanse EHR with Nuance’s Dragon Medical Virtual Assistant to enable clinicians to perform clinical and administrative tasks with voice activation. "Meditech Expanse provides consistency and guidance so that anyone using the Opioid Stewardship Toolkit can appropriately follow CDC guidelines and minimize misuse of opioids, and also minimize the side effects of opioids," said Upendra Thaker, MD, Associate CMO, Mount Nittany Medical Center in State College, PA.